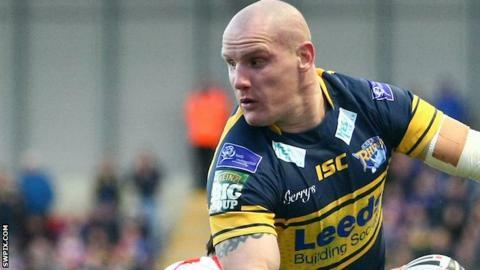 Former Leeds and Wakefield front-rower Richard Moore has been forced to retire following a head injury while playing for current club Hunslet. The 37-year-old has made more than 350 appearances for 10 clubs across Super League, the Championship and League One since making his debut in 2002. Moore was withdrawn with the head knock against Doncaster in February. "Even at my age it still hurts to be told you have to stop playing," he told BBC Radio Leeds. "I've tried to look back on the positives. I've played over 300 games and achieved my dreams." Moore played with Crohn's disease during his career, but revealed in February that he had overcome the illness.